On January 16, 2014, His Majesty King Abdullah II of Jordan met with the Prime Minister of Israel, Mr. Benjamin Netanyahu, at Al-Hummar Palace in Amman. During their important meeting discussions focused on “…developments in the peace process in the light of the ongoing negotiations between the Palestinians and Israelis sponsored by the U.S. administration…” according to Petra News. 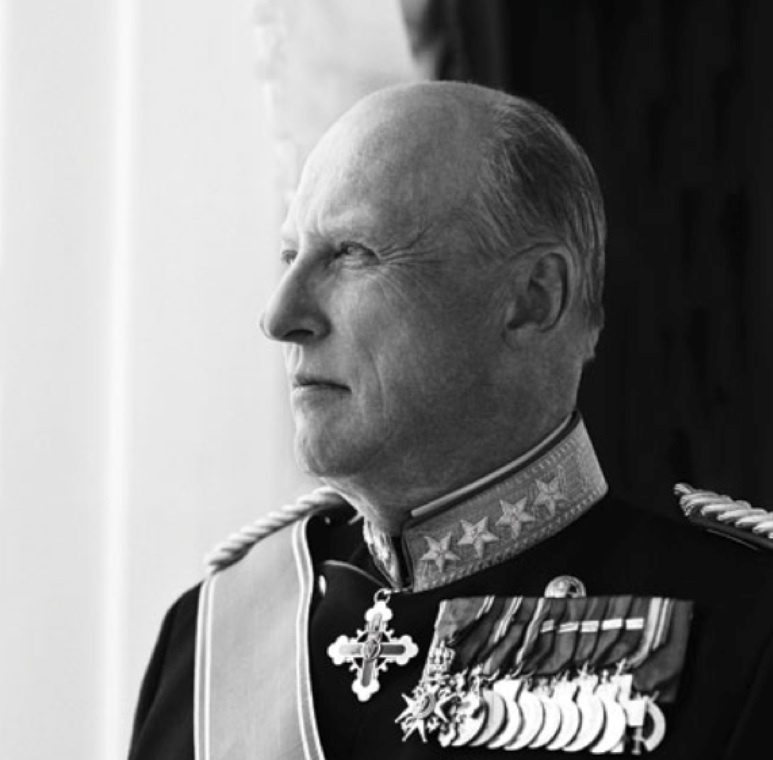 News Regarding His Majesty King Harald V of Norway. On Thursday, January 16, 2014, His Majesty King Harald V of Norway attended the opening of the Norges Miljø og Biovitenskapelige Universitet (Norwegian Life Sciences Royal University) in the municipality of Ås. On Thursday, January 16, 2014, His Royal Highness Prince Felipe of Asturias arrived at the Monasterio de Yuste in Cuacos de Yuste to preside over the Premio Europeo Carlos V.
His Majesty King Carl XVI Gustaf of Sweden Opens the Skid-SM Umeå 2014. 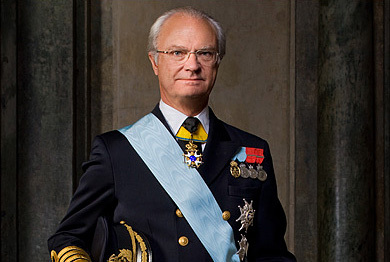 On January 16, 2014, His Majesty King Carl XVI Gustaf of Sweden opened the Skid-SM Umeå 2014 in, well, Umeå. On January 16, 2014, His Majesty King Philippe of Belgium arrived at the WIELS: Centre d’art Contemporain to view the exhibition entitled, Walter Swennen: So Far, So, Good. “…combines a careful selection of Walter Swennen’s paintings from the early 1980s until now, as well as smaller works on paper and more unconventional supports. It is the most comprehensive presentation of his work ever, as it consists of over 130 works loaned from 75 public and private collections. On January 13, 2014, the Fondation Tumulong and l’AMADE Monaco hosted a benefit concert, under the patronage of Her Royal Highness Princess Caroline of Hanover, at the Musée Océanographique de Monaco. The concert entitled, Concert for the Philippines, raised money for the victims affected by Typhoon Haiyan (Yolanda) which ravaged the island nation, killing as well as injuring thousands on November 8, 2013. 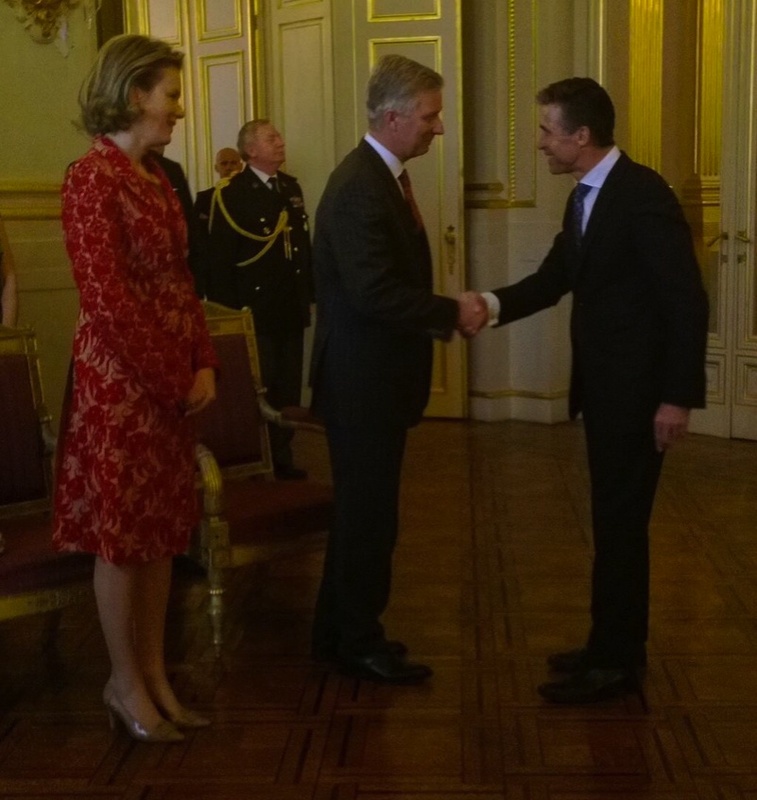 Their Majesties King Philippe and Queen Mathilde of Belgium Host a New Year’s Reception. On Thursday, January 16, 2014, Their Majesties King Philippe and Queen Mathilde of Belgium hosted the 2014 New Year’s reception held at the Palais de Bruxelles. Today’s reception was held for “…permanent representatives of the North Atlantic Council (NAC), military representatives from NATO and SHAPE…” according to the Belgian royal court.